The network has a photo of one of the prototype Russian 152-mm self-propelled howitzer 2С35-1 "Koalitsiya-SV" (Coalition-SV) on a wheeled chassis. 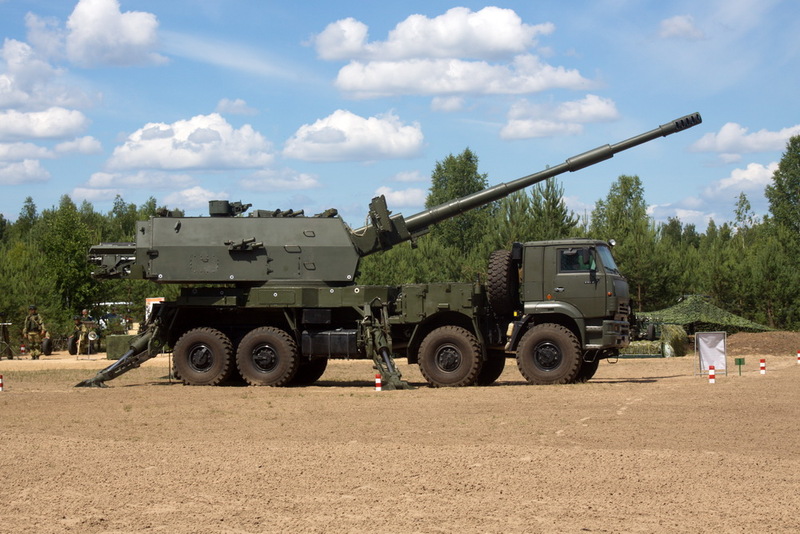 The creation of the 152-mm self-propelled howitzer 2C35 at the crawler and wheelbase is carried out by the Central Research Institute "Burevestnik" (Nizhny Novgorod), which is part of the Scientific-Production Corporation "Uralvagonzavod", according to State Contract No. 62-26 of June 15, 2006. The photo was taken during the demonstration of military equipment in Nizhny Novgorod region in August 2017.